Fantastic sunshine after the rain! 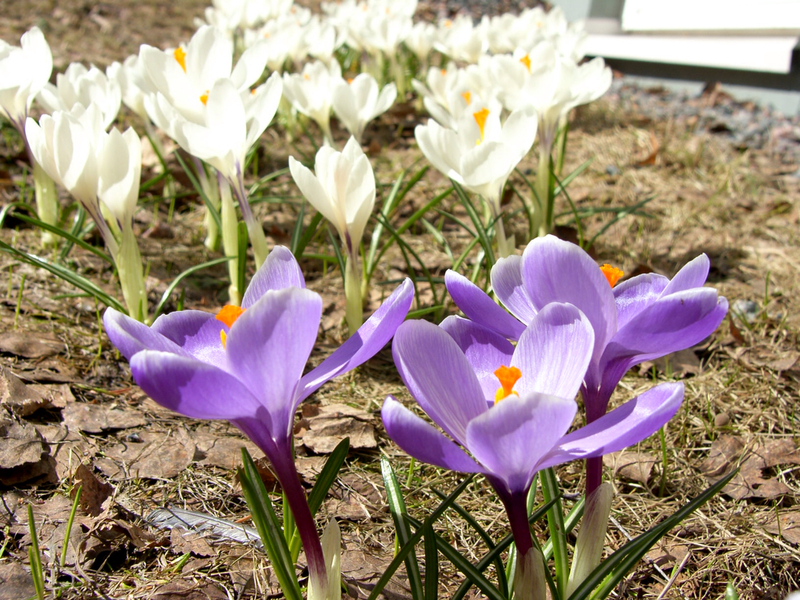 The crocuses are in full bloom. 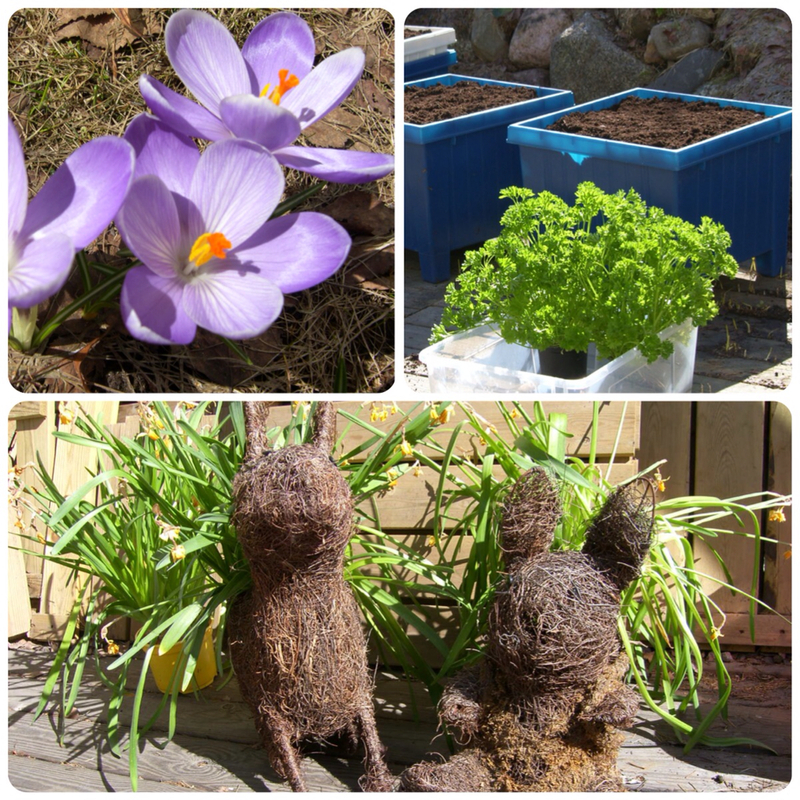 We worked on our backyard the whole weekend, taking out the summer stuff, shoveling some persistant snow from our veranda, planting herbs etc.